SAN FRANCISCO -- Ride-hailing giant Uber Technologies posted losses of at least $1.27 billion during the first half of the year, people familiar with the matter told Bloomberg. Uber is not a public company, but every three months, dozens of shareholders get on a conference call to hear the latest details on its business performance from its head of finance, Gautam Gupta. Gupta told investors on a call that Uber's losses mounted in the second quarter. Even in the U.S., where Uber had turned a profit during its first quarter, the company was once again losing money. In the first quarter of this year, Uber lost about $520 million before interest, taxes, depreciation and amortization, according to people familiar with the matter. In the second quarter the losses significantly exceeded $750 million, including a roughly $100 million shortfall in the U.S., those people said. Subsidies for Uber's drivers are responsible for the majority of the company's losses globally, Gupta told investors, according to people familiar with the matter. An Uber spokesman declined to comment. "You won't find too many technology companies that could lose this much money, this quickly," said Aswath Damodaran, a business professor at New York University who has written skeptically of Uber's astronomical valuation on his blog. "For a private business to raise as much capital as Uber has been able to is unprecedented." Bookings grew tremendously from the first quarter of this year to the second, from above $3.8 billion to more than $5 billion. Net revenue, under generally accepted accounting principles, grew about 18 percent, from about $960 million in the first quarter to about $1.1 billion in the second. Uber also told investors during the call that it was changing how it calculates UberPool's contribution to revenue in the second quarter, which had the effect of increasing revenue. Uber's losses and revenue have generally grown in lockstep as the company's global ambitions have expanded. Uber has lost money quarter after quarter. In 2015, Uber lost at least $2 billion before interest, taxes, depreciation and amortization. Uber, which is seven years old, has lost at least $4 billion in the history of the company. It's hard to find much of a precedent for Uber's losses. Webvan and Kozmo.com -- two now-defunct phantoms of the original dot-com boom -- lost just over $1 billion combined in their short lifetimes. Amazon.com Inc. is famous for losing money while increasing its market value, but its biggest loss ever totaled $1.4 billion in 2000. Uber exceeded that number in 2015 and is on pace to do it again this year. "It's hardly rare for companies to lose large sums of money as they try to build significant markets and battle for market share," said Joe Grundfest, professor of law and business at Stanford. "The interesting challenge is for them to turn the corner to become profitable, cash-flow-positive entities." The second quarter of 2016, which ended in June, could represent a nadir for Uber. The company's losses will likely fall. In July, it cut a deal with its largest global competitor, Chinese ride-hailing behemoth Didi Chuxing, washing its hands of its massive losses in that country. Didi gave Uber a 17.5 percent stake in its business and a $1 billion investment in exchange for Uber's retreat. Uber lost at least $2 billion in two years in China, people familiar with the matter told Bloomberg in July. Uber won't see any losses from China on its balance sheet after August, the company said on Friday's investor call. Uber’s backers range from venture capital firms like Benchmark Capital to the investment bank Goldman Sachs. Altogether, Uber has raised more than $16 billion in cash and debt. Its latest valuation is a whopping $69 billion. The company has effectively redistributed at least $1 billion to the Chinese working class in the form of heavy subsidies to drivers there. "Uber and Didi Chuxing are investing billions of dollars in China and both companies have yet to turn a profit there," Uber Chief Executive Officer Travis Kalanick wrote in a letter announcing the company's departure from China. Uber has been engaged in a fierce price war with Lyft Inc. this year, and that has also contributed to the enormous losses. Uber told investors on Friday's call that it's willing to spend to maintain its market share in the U.S. The company told investors that it believes Uber has between 84 percent and 87 percent of the market in the U.S., according to a person familiar with the matter. Lyft said its market share in major U.S. cities is more than 20 percent and has grown substantially since last year. "Uber's alleged market share is a misleading and skewed statistic given that they offer service in more markets than Lyft," a spokeswoman for Lyft wrote in an e-mail. One Uber investor said that he was expecting the company to continue losing money in the U.S. for the next quarter or two. But Lyft, a much smaller company by trip volume, looks to be losing more money than Uber in the U.S. Lyft has told investors that it will keep its losses under $50 million a month, Bloomberg reported in April. That would be about $150 million in a quarter. 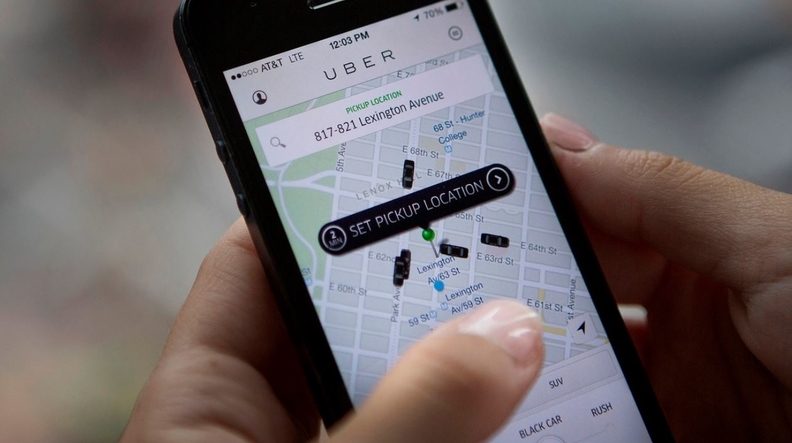 Uber's U.S. losses totaled about $100 million in the second quarter of this year. In July, Uber delivered 62 million rides to Lyft's 13.9 million. Uber's subsidies were spread over more rides. "I think what Uber is trying to do is, 'Hey, look, we're going to take the losses up front in order to get to disproportionate scale,'" said Robert Siegel, lecturer in management at Stanford's business school. "The question is when they can get to profitability."